This mix of assorted reef safe hermit crabs are good at removing hair algae and detritus, and fair at removing some kinds of cyanobacteria and film algae from your tank. They will spend their time on the rocks and on the substrate of your aquarium, with a preference for the rocks. These hermits will eat some of the thinner complex macroalgae, including Ulva, Scroll algae, Halymenia, and Caulerpa verticillata. While they will not eat your corals, they may attack snails for their shells. You can reduce this risk by having plenty of empty shells for them to move into. 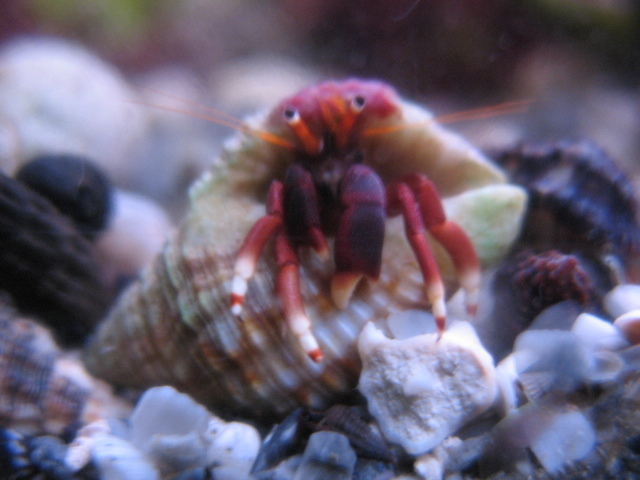 The hermit crabs vary in size but are usually a decent size. All of the species we carry are hardy. And other hermits as they become available. No scarlet hermits or imported hermit crabs are included in this mix unfortunately. We strongly recommend that orders over 25 Assorted Hermits should be shipped via Express Mail. Quantities greater than 25 are not covered by alive arrival guarantee.